Okay, so I'd be lying if I said I didn't have this review planned for ages (like, before I started reading the book) because I was sure it was going to be a very 'OMG this book is so good, go read it now'-type scenario. Fast-forward an entire YEAR or so later, I've finally finished reading this book and can give you my verdict. I know - you read right - it has taken me literally MONTHS to get through this book. Well, not literally - I didn't spend an entire year solidly trying to get through it (that would be insane) but it has been picked up and put back down again quite a lot during that time. A couple of weeks ago I said to myself that I would FINALLY get it finished this year. And I have. 'Elizabeth is Missing' is written from the perspective of Maud, an elderly woman who is extremely forgetful - probably suffering with Alzheimer's or dementia - as she flashes between her life today and her life seventy years ago. Both lives centre around a missing person - in the present, she's convinced her friend Elizabeth is missing, and in her life seventy years ago, her sister goes missing. We flit between today and life seventy years ago throughout the story, learning about Maud's past, her home life and how her sister vanished one day. In the present, she tries to decipher what has happened to her friend Elizabeth, which is pretty tricky considering she keeps forgetting that she's even looking for her - she writes things down on scrap bits of paper in a bid to remember them. It's a really interesting concept and I can see why, perhaps through that alone, the book has won so many awards and received some amazing reviews. For me, though, I found the book to be incredibly slow, and dull. 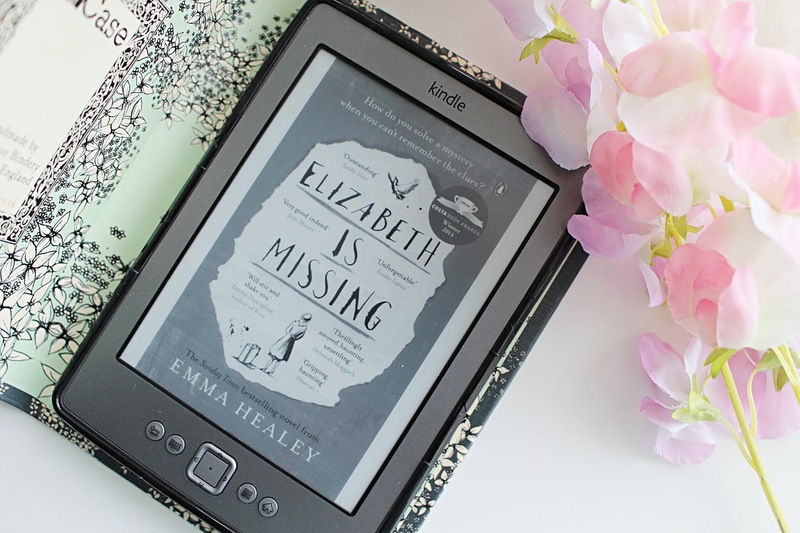 'Elizabeth is Missing' sits in the crime and thriller genre - and so I was expecting a fast-paced book, with twists and turns, drama and suspense. I don't feel like I really got any of that right until the very end. Overall I'd give this book 3/5. I know that might seem a tad harsh, especially considering the amount of 5-star reviews out there, but it just wasn't entertaining or interesting enough for me. I found myself willing it to end, which is never good when reading a book! Have you read 'Elizabeth is Missing'? I'd be interested to hear your thoughts!